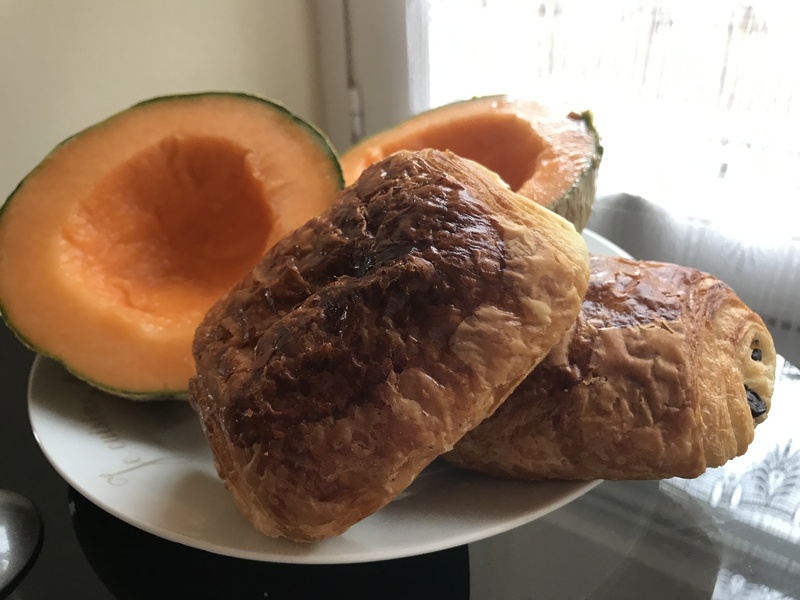 After a little trip to the market and boulangerie, we started the day with my favorite French breakfast-the tasty little melons I find only in France and Italy and pain au chocolat. 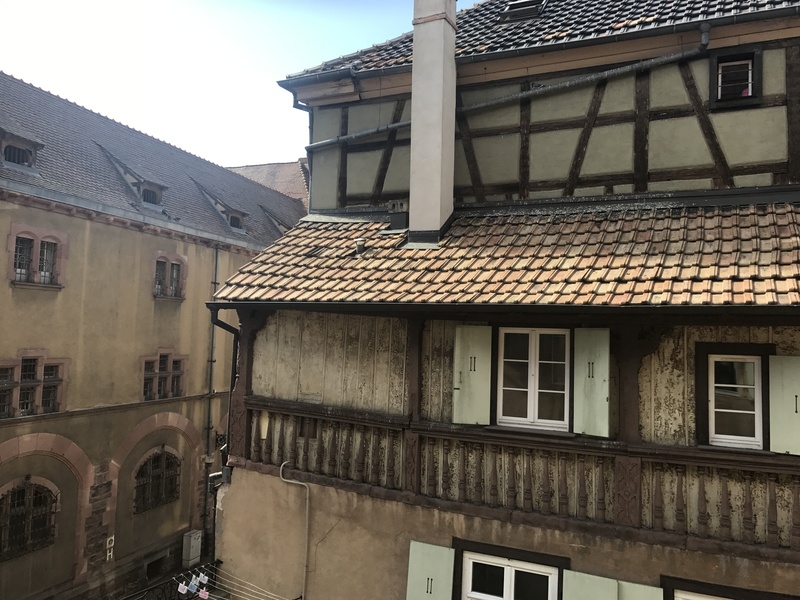 We eat breakfast in our kitchen by a window that overlooks a building that looks as old as the 500-year old building where our apartment is located. 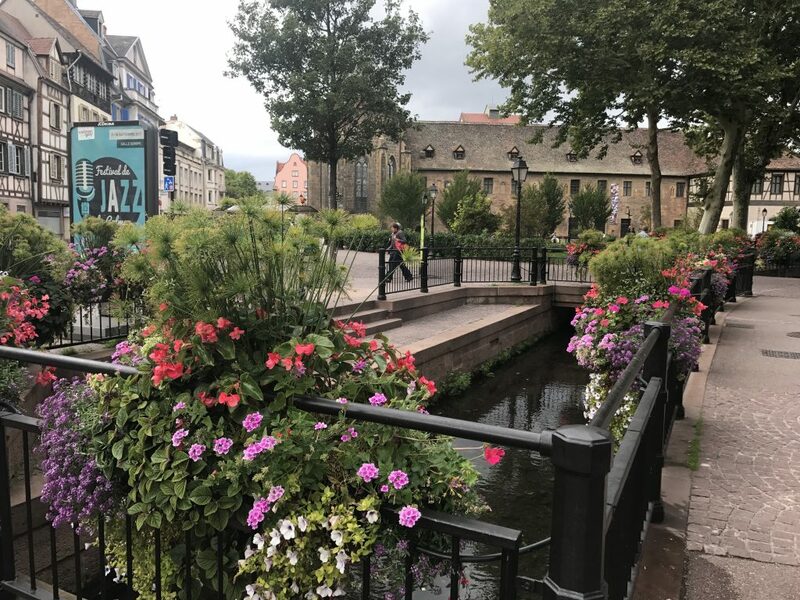 A little canal that connects Colmar to the Rhine river flows through the village disappearing underground and reappearing in beautifully landscaped areas. 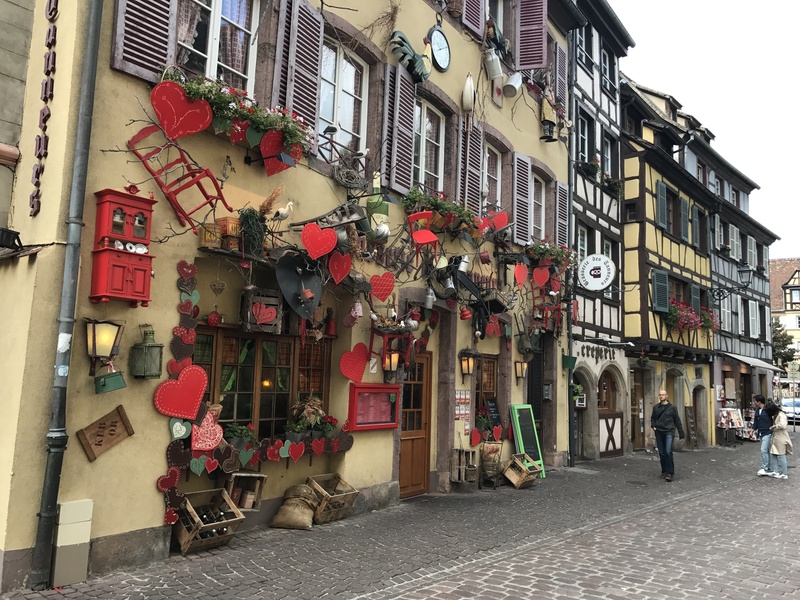 Historic districts dating back hundreds of years comprise the old village. The tanners’ district is a uniquely decorated area where tanners lived and worked in the 17th and 18th centuries. Lovely little homes and restaurants sit right on the water in the Little Venice area. 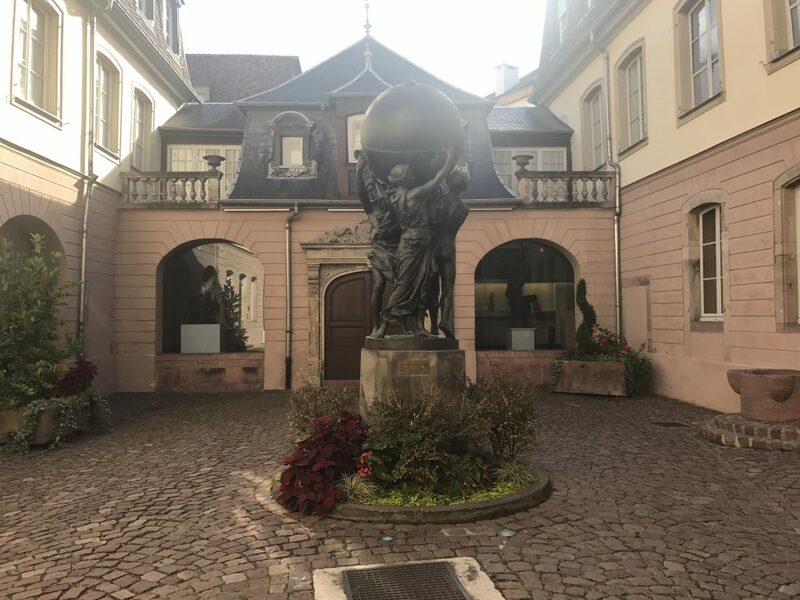 After exploring the charming Colmar streets, we visited the Bartholdi Museum, birthplace of Auguste Bartholdi, sculptor of the Statue of Liberty. One of the most fascinating rooms in the museum was a recreation of the dining room in his last apartment in Paris. 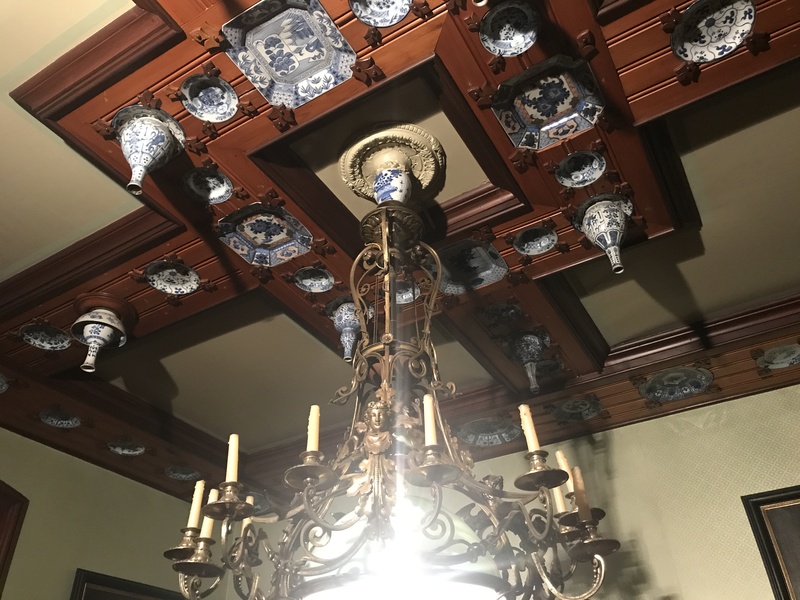 Porcelain hung from the ceiling, which was a popular decorating trend of the time. A very helpful museum worker gave us an English copy of the guide to take with us. Making dinner reservations was an unexpected delight. 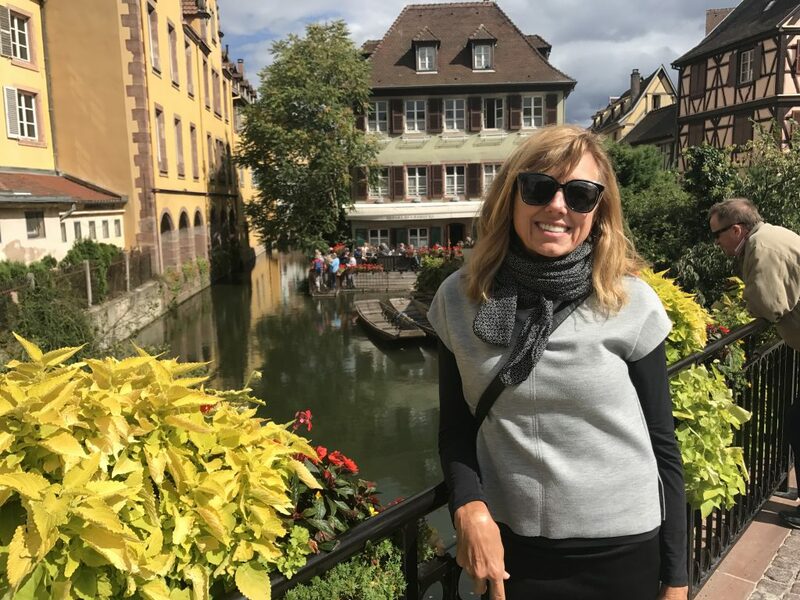 When I am in a non-English speaking country, I try to avoid making phone reservations because important details may be lost in translation and my French is, at best, limited. 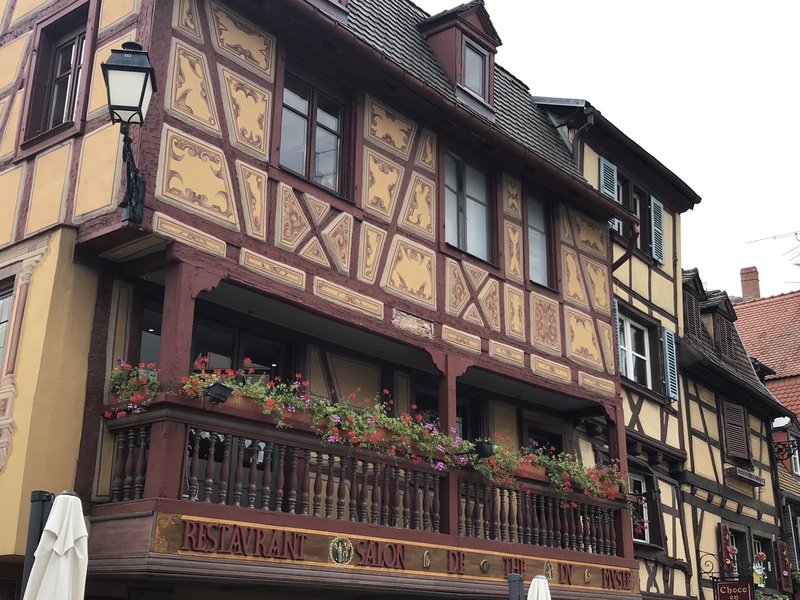 But when I called this afternoon to make dinner reservations at La Romantica (106 route de Rouffach), the maitre d’ told me I spoke perfect French. Even though I knew he was being generous because he had kindly corrected my article/noun agreement earlier in our conversation, I appreciated his encouraging words. 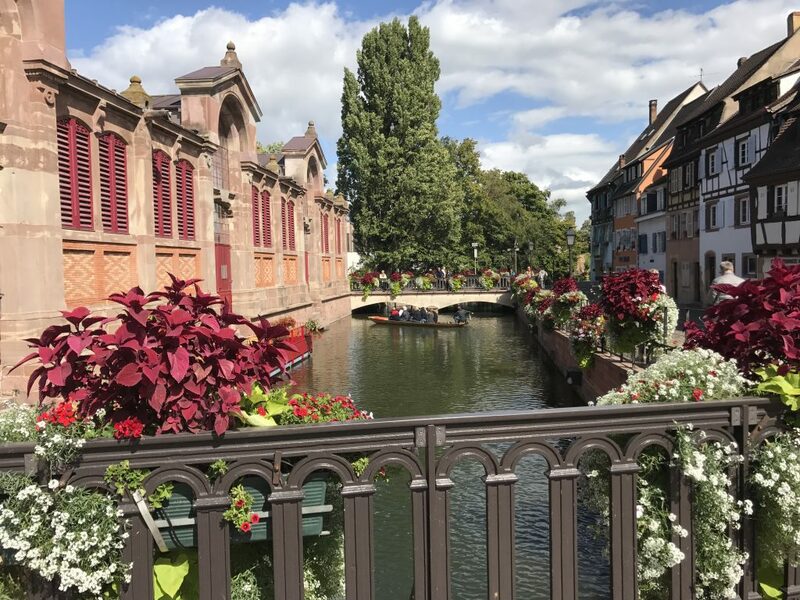 This entry was posted in France 2017 on September 11, 2017 by debbie.